Travelling with teenagers is easier than travelling with babies and young children in many ways. They’re not likely to wake you up at night, you can leave them on their own while you go off for a swim, they’ll probably be more open to trying different foods than they were when they were smaller and they can babysit their younger siblings if you ask them to nicely. But travelling with teenagers can be tricky too. The last time that I went on holiday with my parents and siblings I was 14 years old and probably very annoying. We drove our camper van to the South of France and Italy and I argued so much with my Dad that I decided that I was never going on holiday with my parents again. And I stuck by that decision for about 20 years. I’d love my children to want to come on family holidays for as long as possible. I asked some parents whose kids are teenagers (or older) for their tips on travelling with teens. Here are their wise words. Tanya Barrow of Mummy Barrow says ‘My tip would be to give them the option of bowing out of a day trip if they don’t want to do it. There is nothing worse than dragging a grumpy teen around somewhere just because it is what you want to do. Use it as a bargaining tool if you have to “OK, you can skip this museum but I would like you to come to the art gallery on Thursday” type thing.’ Tanya’s children are 16,19 and 20 years old. Chris Mosler of Thinly Spread says: ‘Accept, right at the start, that you won’t all want to do the same things at the same time and allow for some flexibility. Plan in plenty of food refuelling stops and be prepared for the day to begin later than you would like. Either go and do your own thing while they sleep or wake them up and be painfully cheerful and bouncy as revenge for the toddler years.’ Chris’s children are 19, 17, 15 and 9 years old. Children’s author illustrator Suzanne Barton says: ‘Make sure that they want to go on the trip – make it clear to them that they don’t have to so that coming is their choice entirely. Involve them in the planning from the beginning. Email all of the information about the trip to them so that they can read all about it in their own time. Choose somewhere where they can go off on their own for a bit, or be left. No surprises.’ Suzanne’s daughters are 19 and 20 years old. Afra Wilmore who blogs at Mad Mum of 7 says: ‘If your teens are tech-obsessed it might be tempting to either ban their gadgets completely on holiday or conversely allow them to spend as much time as they like on them so you can enjoy some peace and quiet and an easy life on holiday. It’s much nicer to take the middle road however so the children can enjoy gaming or social media or messaging with their friends but also actually actively take part in the family holiday! Agree basic terms before you leave but prepare to be flexible. It’s OK to say “no gadgets at the dinner table” or it might suit you to allow them to have them while waiting for dinner so you don’t have stroppy bored teens flouncing about.Adapt as you see how the holiday pans out – you might be glad of the distraction for them in traffic queues or in case of airport delays. Whatever you do don’t forget chargers and/or spare batteries which may be much more expensive if you are going abroad. And if you are going overseas investigate adding a pre-paid bolt-on for internet or mobile phone usage so your teen doesn’t run up a huge bill!’ Afra’s children are 6, 9,10,14,16,19 and 21 years old. Kate Sutton of WitWitWoo says: ‘My top tip would be to make sure you have a battery charger with you for all things technological. As much as I like to think we would just enjoy each others’ company whilst travelling, I’m sure fellow parents of tweens/teens will understand that in reality, all they want is an iPod or phone to play on. And once that battery runs out, boy will you know about it. There is nothing on this earth worse than a bored tween. Trust me.’ Kate’s children are 11 and 20 years old. BritMums editor Marianne Weekes of Mari’s World says: ‘My tip would be to have activities planned that will prevent them from saying ‘I’m bored’. 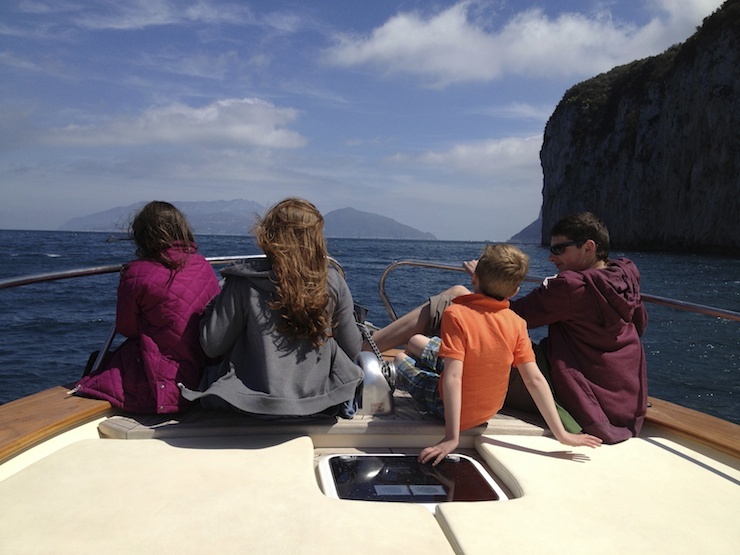 When I took Thomas and Megan to Sardinia, then aged 16 and 14 respectively, I booked a scuba diving course that took up a couple of hours in the morning. They loved it. They learnt something new and were easier to please for the rest of the day when I wanted to visit the local market or town. It’s all about give and take and coming together as a team. It was my first holiday with kids as a single parent and we camped in a tent but it was possibly my favourite holiday of all.’ Marianne’s children are 7, 24 and 27 years old. Trish Burgess of Mum’s Gone To says: ’My tip for travelling with teens is that it’s not that different from travelling with toddlers – as long as they are fed and watered you are likely to keep them happy. Add free WiFi to the mix and you’re laughing.’ Trish’s son is 19 years old. I agree with all of this advice, especially Trish’s tip about free WiFi. If you’re a parent of teens (or grown-up children) do you have any tips to add? 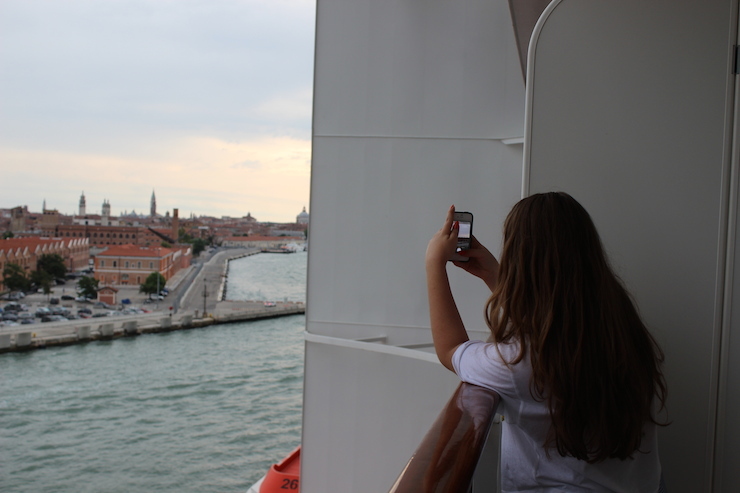 Check out my teenage daughter’s post: Travelling with teens: tips from teens. We have two teens and a tween and make sure that we include them in all stages of the planning. The unknown of a new place can be unsettling as well as exciting, so we try to make sure everyone is clear on where we’re going and what plans we have before we even reach our destination. Trying to build in flexibility for spontaneity and downtime is crucial and allowing them space to just be (connect with friends on wifi, etc.) can be a saving grace for everyone’s sanity. Engaging them in what they want to do will make it easier to push (gently suggest, coerce) them into trying the activities or sites that you want to see. Making them feel heard is key. Easier said than done sometimes, but making an effort goes a long way. We have two teens and a tween and make sure that we include them in all stages of the planning. The unknown of a new place can be unsetttling as well as exciting, so we try to make sure everyone is clear on where we’re going and what plans we have before we even reach our destination. Trying to build in flexibility for spontaneity and downtime is crucial and allowing them space to just be (connect with friends on wifi, etc.) can be a saving grace for everyone’s sanity. Engaging them in what they want to do will make it easier to push (gently suggest, coerce) them into trying the activities or sites that you want to see. Making them feel heard is key. Easier said than done sometimes, but making an effort goes a long way. So kind of you to share! Making them feel involved definitely goes a long way indeed!! Love these tips. I’ve got a tween and a teen and my biggest tip is to schedule *active* diversions — standup paddleboarding, hikes, museum visits that include *doing* something (a guided talk, a sketching class). I once read that the chemistry of teenage brains changes so they actually need more stimulation than the childhood or adult brain, so it’s worth mixing up your usual travel routines with that in mind. That’s a really good tip, thanks Jen. Apologies for late comment – I think I read this when we were away and didn’t get the chance to thank you for including my rather short and to the point advice! Thanks very much for contributing, your tip is much appreciated. 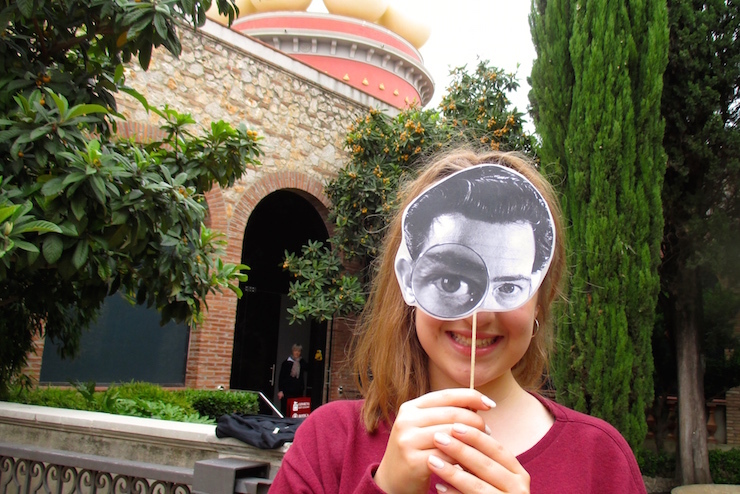 We have free and plentiful wifi so far in Italy – Phew! Some great tips – and that’s so funny that at 14 you argued so much and didn’t go on holiday with your parents again for 20 years!! I’m looking forward to seeing some tips from teenagers too! So far i’ve really enjoyed taking my teenagers travelling (they are 14 and 17). I think that age group are super-sensitive about what’s fair (or not) so it’s worth discussing things and checking how they feel to pre-empt feelings of resentment. Travel and change is tiring and I think it is acceptable to be grumpy – the trick is for parents to ignore the grumpy child’s less than perfect behaviour as they are sure to come round when less hot, properly fed and watered or even after a good night’s sleep. Younger siblings must respect the teenagers’ right to be a bit bolshy and try to avoid goading. I guess splitting up your family can work well for daytime and then meet again for something everyone will like, such as eating! We’ve also found it good to take a friend along too (the sort who your child doesn’t endlessly fall out with). A definite help when trying to encourage a teenager to climb Ben Nevis. Thanks for sharing your tips Nicola. Taking a friend along is a very good idea. We’ve not done that yet but I’m sure that we will with our youngest once his sister is off at Uni. It sounds like he had plenty to keep hime busy! I don’t have much experience with teens but I can’t imagine the ones I do know being happy anywhere they couldn’t access the online world – so yes, free wifi would be close to top of my list. Free wifi is a big draw for me anyway, but it’s increasingly a factor for choosing accommodation for us. All great tips here. It is not an easy territory to navigate but i am willing to do what it takes so that we continue travelling as a family for as long as possible (my kids are 6 and (almost) 16. In addition to what’s mentioned, I am asking my teen to blog for me. That keeps him focused on the sights and taking pictures. Victoria@celebratetheweekend recently posted…A DAY WITH THE ARTS IN THE BERKSHIRES. BIRTHDAY TRIP FOR 30 FRIENDS AND FAMILY. That’s a great idea. My youngest is very reluctant to get involved with the blog but my 16 year-old writes posts occasionally. WiFi is crucial but I agree, it’s important to get them to be with the rest of the family for some of the time. Great tips, my son is 18 and it is important to give choices. We let him go to the cinema on his own for example when we go to the US. He enjoys this and there is nothing worse than make him do something we want to do but he doesn’t. True, and by that age it’s impossible to make them do something that they don’t want to do anyway! Great post with some really good tips. I don’t remember my older two being much of a bother when they were teens, although my son didn’t like going anywhere we just left him to his own devices. Once they hit 16/17 they stopped coming on holiday with me and went off to stay with their Dad in the South of France instead…I mean what teen wouldn’t prefer that to week at Butlins with toddler siblings? I know which I would have chosen at that age! Jen aka Muminthemadhouse recently posted…How do you control and monitor Internet usage? What a fantastic post. Mine are only 5 and 3, but I’ve already started wondering how best to make our holiday experiences fun, for as long as possible. I’ll be turning to all these words of wisdom in the years to come! Make the most of it while you’re in control – relatively speaking! I’m about to depart for a quick trip to Barcelona with a 19 year old and a 12 year old. I have asked both to do a little research on the city and come up with somewhere they want to visit. Not only will this save me some time, but it might put a smile on their faces! An excellent idea – have a great trip! Great post Gretta and I can’t wait to read your daughter’s tips for parents too, with another two 7 year olds going on 17 year olds that should be very interesting. Thank you – it will definitely be interesting to see what the teens say!